I prefer the cooler more positive side on being born with one hand. That is why I lean on humor, fun, and inspiration. It is rare I play the “disability card” so to speak. But there are times when I do. I often ask to board a plane early; I look for any disability discounts, and use my disability as a hiring preference. On more rare occasions I will ask if I can park in the “alter-abled” parking area when speaking or preforming at a festival. The Oregon Country Fair has always been supportive of this request. My legs are just fine. To attempt to ask for the privilege of handicapped parking crosses the line for me. There are some things I will not do in relation to my disability. I will never ask for a disabled parking license plate or status, hide behind my disability, or use myself as an excuse. And at the same time I will always look for the “disability perks” of my one-handed life. They are out there! I did mention a few in the first paragraph. Asking to board a plane flight early is a major perk. When I was in China the process and perception are different due to the culture. In the Hong Kong airport the flight attendants approached me and asked me if I wanted to board the plane early. Then they carried my bags and stowed them for me. Wow! I felt like a rock star. When I lived Seattle, Washington I was eligible for a disability commuter pass. This allowed me to ride the public bus system at no cost. And I received a major discount on the monorail, light rail train, and the ferries. SCORE! This was such a perk. Additionally, Seattle also offered a disability discount to many museums and state run activities. There were a lot of perks having a disability when I lived in the “Emerald City” of Seattle. The best perk of all was hearing about and later receiving a Golden Access Passport from the National Park Service. This is a short story of meeting my dear friend Stacy near Yellowstone National Park while on my cross-country bicycle trip. We had a few great adventures in the state of Idaho and in Yellowstone National Park. Our timing and short travels together also had a personal agenda for me. After doing research on the Golden Access Passport I learned there were only a few places at that time to apply for the passport. Yellowstone National Park was one of those locations. It is also where I had a most precious and special one-handed moment as we entered Yellowstone National Park. Getting A Golden Access Lifetime Passport for having a Disability. The funny ways I show people I have a lifetime disability. Meeting a friend in Yellowstone National Park while riding my bicycle across the USA. Yellowstone National Park – Enough said! Golden Access Lifetime Disability Passport – Here is info on what it is, does, and how to apply. 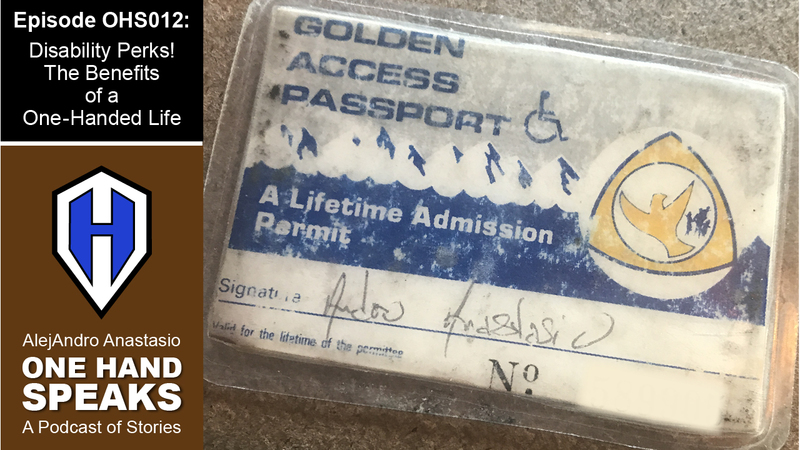 More Golden Access Lifetime Disability Passport info – SCORE!